For those of you who have been asking me for pool stories I am going to deliver, finally. I am going to reveal my secrets and be a bit more frank about my pool playing days and I warn this particular article could probably be used as a partial blue print for hustling pool, but keep in mind successful hustlers are actually very good players and many of them could be pros if they so desired. To answer the most frequent question first: What’s the most I have ever won in pool? That would be well over a decade ago and it was more than some people make in a year. Use your imagination. Sounds glamorous doesn’t it? But, alas, it was a mistake, I beat one of the best players in the country I was visiting and word spread like wildfire beyond borders and getting a game after that was almost impossible unless I traveled thousands of miles. And I did travel thousands of miles, hustling is addicting like that – I went in places that still had fresh bullet holes in the walls. I have not played pool in nearly 8 years. Occasionally, I will pop into a pool hall just to take in the atmosphere and get a feeling for the way things once were, but the urge isn’t strong enough to make me play again, at least not yet. This article doesn’t explain why I stopped playing. That’s in my book. One of the most important tools of the pool hustling trade is to know people, know how some like to gossip and spread rumors and use that to get yourself wealthy marks, to actually draw those marks to you. Yeah, it’s not fair, but if you want to make money this way, you can’t be fair, it has nothing to do with being fair and it has all to do with winning and losing by design. It’s an art form and I was a natural at it, as a matter of fact I could write all day about my days of hustling and I could make my words and boastfulness turn into a hustle if I wanted to. Do you want to know why? It is the nature of man to love a challenge and not believe things unless they see them for themselves. Pride. It can make hustlers rich or cause them to go bankrupt. I pool hustler can have no pride and yet they act as if they have the most pride in the world. Why? Because pride is a loser and anyone who carries pride on their shoulder will not win in the end. The meek and the humble will inherit the earth. It is important to know that. Pride has destroyed more want-to-be pool hustlers than anything else. The successful hustlers can spot pride from miles away and are drawn to it like moths to a flame. Ah, but we know that and that can be dangerous too. As a child and young man I was often distracted, a day dreamer – things tended to catch my eyes and attention and take my attention away from whatever it had previously been focused on. I often seemed aloof, distant and detached from what was going on around me, as if I didn’t care. I was punished and chastised as a child and overtime I learned that if I showed my emotions, or how much I cared, it usually drew more of the same to me, therefore I learned to control my expressions and how I outwardly appeared to others while being confronted. A skill I talk about a lot is the ability to hyper-focus, the more pressure, the more the risk and the more I could get in trouble, and the better I could focus. These are just a couple things, there are more and for the sake of the length of this article I will try to stay on these points in order to demonstrate how ADHD worked for me in the world of hustling pool. Because of my distracted nature while playing others I did not ‘appear’ to be very good at the game of pool and quite frankly I thought I sucked too because I could not understand why I could practice so well alone and not be able to bring it during matches. It was confounding and led me to practice more and more on my own, not wanting the humiliation of playing less than I was capable of playing. I was already in the midst of hustling others and I didn’t even know it. I was even hustled by my own traits. There is an evolution about tournament play I had in the midst of my development, but I will have to skip that for now. Somewhere inside of me I knew I was very good and I was frustrated at my inability to demonstrate my ability while playing with others and yet this would turn into my biggest and most important advantage through-out my career. Eventually someone talked me into playing for something. I seemed like an easy mark and was given an advantage of a handicap, but the match did not go as predicted. I won the match handily and it was the first time I ever heard the term ‘hustler’. I never before played so good in a match; I made very few errors and did not give my opponent enough chances at the table. I had no idea why I suddenly played so well and just figured I was in the zone and it was a fluke. However, at the time I could not help but be excited and started playing with others again. Sadly, or fortunately, depending on how you see it, I returned to terrible play when I played with others. Now, the important part of this is that when I returned to playing with others there was nothing at stake, nothing to keep my attention. You see where I am going with this –? There comes that pride again and it can be a son of a gun. Another benefit of having grown up with undiagnosed ADD is that I had no pride and not much self worth, but I learned that if I could act I could cause a reaction in others. Oh yes, hustlers are masters of utilization and find advantages in things most people might never consider. For example. being boisterous cause’s reactions in people and this opens them up to being utilized. I discovered that mad, angry people don’t play very well or people that have a nagging feeling they can’t get rid of. That’s a fraction of the sharking part I was leading to earlier. Very few people will ever admit to being sharked like this and that’s why it is so powerful – again, with that pride thing. 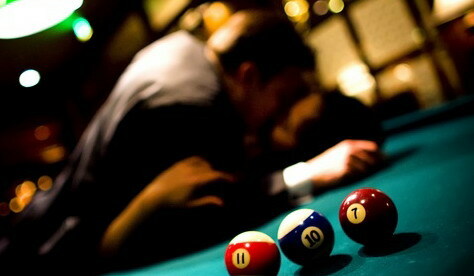 It is not surprising to me that many people who are very good at hustling pool come from some disturbing backgrounds. When you have been beat down and criticized all of your life, pride isn’t something that affects you, because you don’t have it. Let me clarify that there are two types of pride. There is a type of pride that is a quiet confidence and is good, but pride is the wrong word. You can have pride in your country and fellow man, but then there is another type of pride which I have been describing which is destructive and can be manipulated and in sports it is often the key factor between winning and losing – all the pros know it and they are masters of how to use it. Don’t be fooled by it, this little revelation is something which can transfer someone from amateur to professional, but uniquely enough this destructive pride is usually the very thing that gets in the way. That’s a free gem of information, even if I say so myself. I am just going to throw in a little extra something, a parent with this type of pride in their child may decide special education is too lowly for their child and refuses to recognize there is a problem and the child therefore is actually held back due to this type of pride – it is deceiving isn’t it? Many wonder why pride is considered a sin when we are taught that we should be proud. We can be proud, but we also have to be realistic. Pool is one of the most difficult games to master, it is a game of accuracy, geometry and it is a mind game which can surpass even chess as such. Played at a high level there is no such thing as luck in pool. You know you’re not at that level if you believe there is luck involved and if you play for something, then don’t because you are vulnerable to being hustled. Pros and hustlers want their opponents to believe in luck and more importantly blame a loss on it and be upset about it, the more the better. 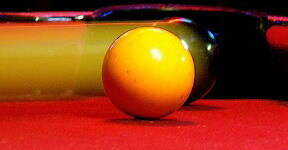 There are many factors in pool which can cause the game to go one way or the other, but it never has to do with luck – not in nine ball, ten ball, and straight pool, one pocked or even eight ball. Weird things happen, yes, the hustler rolls with it and realize that skill prevails each and every time… but most importantly, aloud, amongst players, the hustler will always call everything luck and even make shots that could not possibly be considered ‘aimed’ just to get under the skin of his or her opponent. Ah, now that’s fun. Being such a mind game and having so much involved in it you would probably think this isn’t a game for someone with ADHD. On the contrary, there is actually enough in this game to keep someone with ADHD interested and stay interested, one never stops learning and the game has so many variations that it is impossible to explore them all in one life time = perfect for an ADHD person. And the education in human communication and motivation is priceless. Usually, even the untrained eye can detect when someone is acting. To act is to put thought in motion and therefore bluff. There are many tails which giveaway bluffing. That made me a very treacherous hustler. When I was distracted and uninterested, it wasn’t an act. That’s something which outsiders tend not to understand about those with ADHD – with incentive the ADHD mind comes alive and quite resilient and focused, as if it had previously been in a dormant state. If the incentive is taken away or lowered so too is the focus the person with ADHD has. Without medication this is very hard to control and outsiders simply do not comprehend that this is possible – this is where the term lazy comes from with consideration of a person with ADHD – if he or she can do it with incentive, then naturally they should be able to do it anytime… right? Someone once told me that I could turn my focus on and off like a light bulb. It was a complement, so I didn’t take the time to explain that I really didn’t have any control over my focus and besides, why remove the mystery from others? The more people could not figure me out, the better. I was using my ADHD to my benefit and didn’t even know it. Before going into a match to play for something we tend to observe our opponent in play or practicing beforehand. It is rather easy to tell if the person is dodging purposely or just not playing well. If the person is dodging purposely then they feel confident and their A game is available. Not worth the effort and struggle and risk to most players. However, I did not act; there was no intended hustle when I played for the sake of just playing. When just playing I could not help but be distracted and unfocused on the game at hand. Since it was my very nature it did not come across as acting. Even so, the very moment something was put at stake and involved risk all distractions would not simply fade away, they would disappear without a trace! Ah, so many surprised opponents emptying their pockets believing I had got lucky or got into a zone above my real level and that brought them back and back again no matter how much they lost. I made this worse for my higher stakes game opponents because I never won the lower stakes games against anyone, even if the opponent wasn’t as skillful as me and I didn’t lose on purpose, I wanted to win every game it’s just that at lower stakes I could not focus as I explained already. The best deception is always that of reality – isn’t it? My A game was only available to me under extreme pressure or when I played alone in solitude. 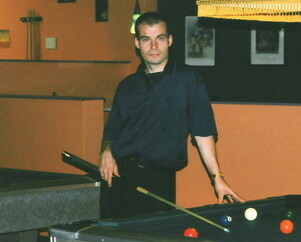 I have been an admirer of the game of pool for years and years and I have watched some great hustles. I am convinced that some of the best hustlers have ADHD, even if they do not know it. Many money players believe they are bad in tournaments because they are protecting their money games with their marks. I think the truth is more that they can’t focus well enough in tournament play because there is no instant gratification and the incentive risks are way too low. Losing your entry fee isn’t that bad compared with what one can lose in a money game. Remember that a reward system is one of the best methods of helping a child cope with ADHD and perform better, it doesn’t really change in adult hood – it’s just that the rewards are so much grander. People with ADHD can do magical things with the right incentive and it is fair because the person with ADHD does indeed perform above and beyond expectations. There is so much to write about and so many details which I am have not included. The fact that people with ADHD do learn is something of interest too – hustling on accident is one thing, but doing it with wisdom is oh so… interesting. If you really want to see what I have described in action, you can do that – go out and rent or buy the movie “The Color of Money”. Martin Scorsese captures the mind of a young hustler with near perfect reality and Tom Cruise acts it out as if he too has ADHD. Seriously, the character Vince goes through what I have described, even at the end when he knows he has to have something at stake when playing Fast Eddie. Of particular interest watch the match with the famous line “it’s like a nightmare… isn’t it” you will see ADHD in action, the more the pressure and humiliation of losing makes it near impossible for Vince to lose – he actually needs a higher level of pressure to help him stand down. Watch that scene with this information and you will have a very good idea of what it is like for someone with ADHD to deal with it, if you don’t have ADHD yourself that is – if you do have ADHD you will likely relate very well. Previous post: Give my book away!